 Springfield Archives | What Should We Do Today? 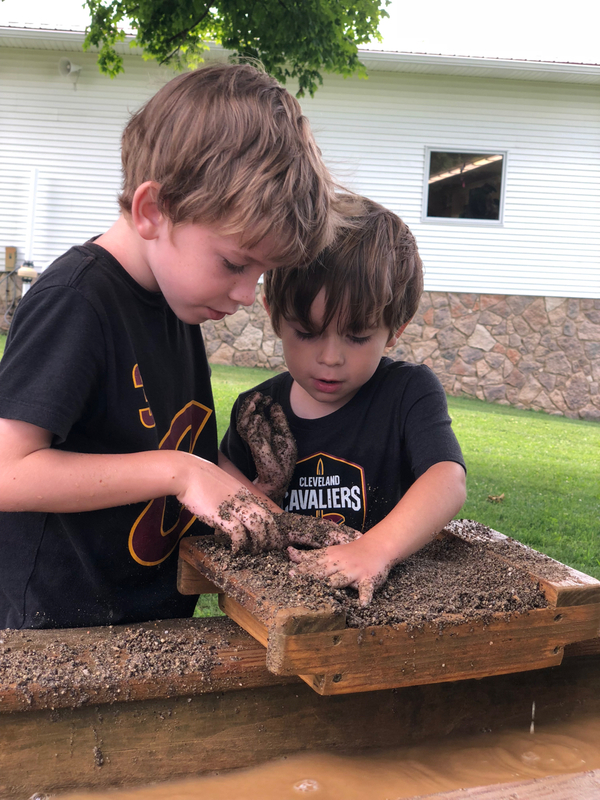 Just 45 minutes from Columbus, Ohio, Springfield makes an easy day trip or a fun weekend trip for families! 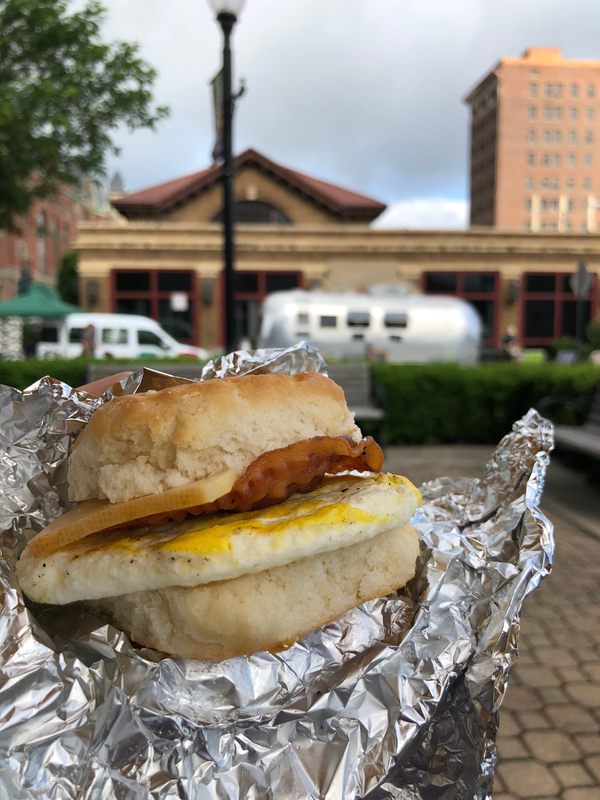 Thanks to Greater Springfield Convention & Visitor’s Bureau for partnering with us on this post. 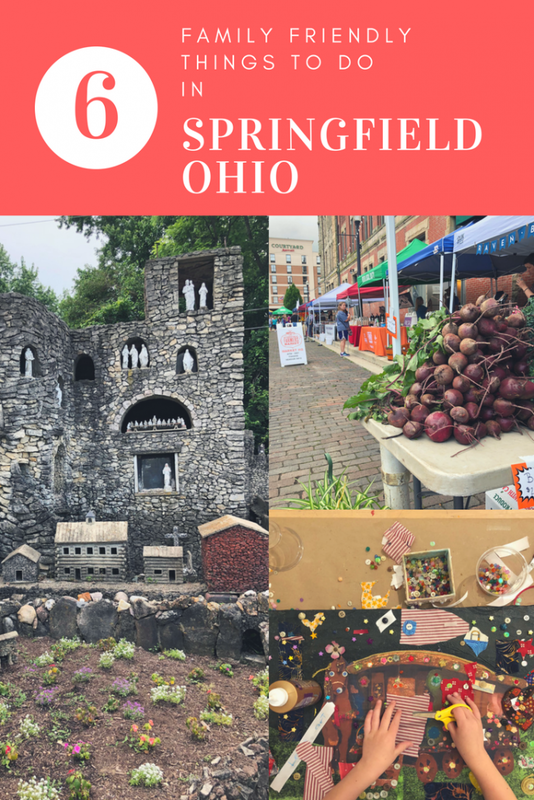 In mid-June my family took a trip to Springfield, Ohio to discover some new family-friendly activities and explore a city that was new to us! 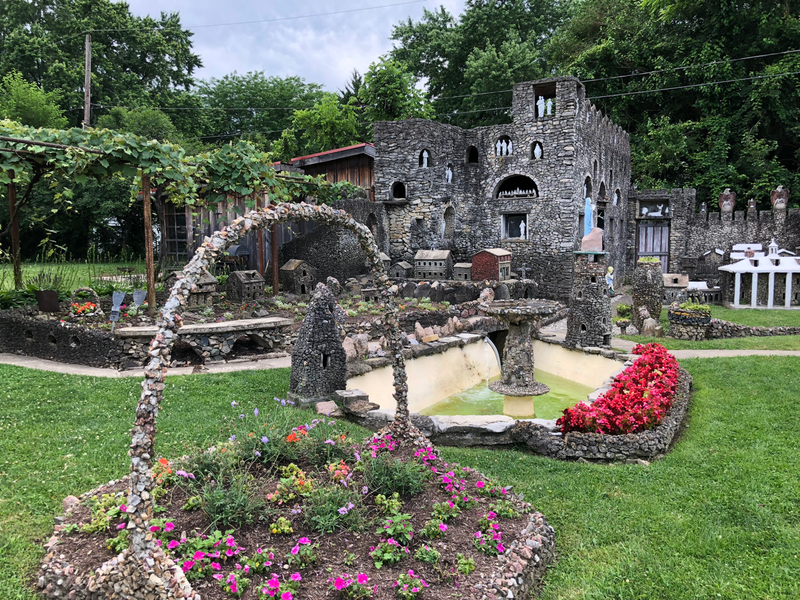 We were pleasantly surprised to find that Springfield is only 45 minutes from Columbus, which makes this trip an easy day trip or an overnight trip where you won’t spend a huge chunk of your time driving! 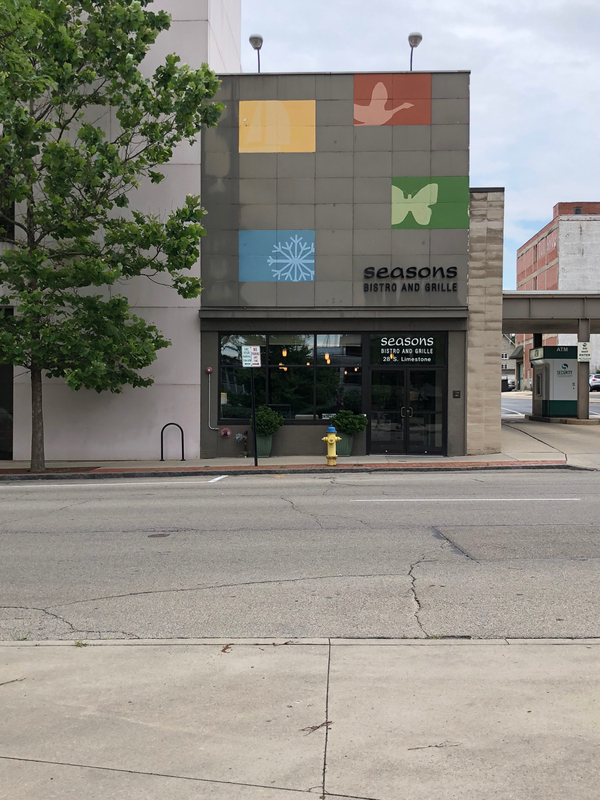 Here are 6 things to do with your kids in Springfield, Ohio plus where to eat and where to stay during your trip! 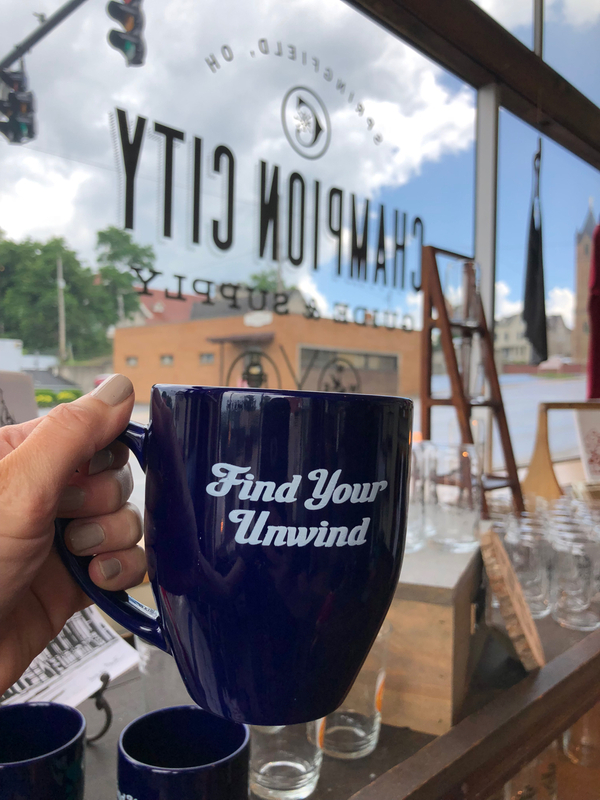 Champion City Guide and Supply is a combination of local victor’s bureau and shop for local goods. Its modern design makes you want to hang out and learn more about the Champion City. Springfield is called the Champion City as a reference to the Champion Farm Equipment brand once manufactured there. It’s a great first stop where you can pick up some info on the city and any t-shirts or locally made goods you may want to take home! 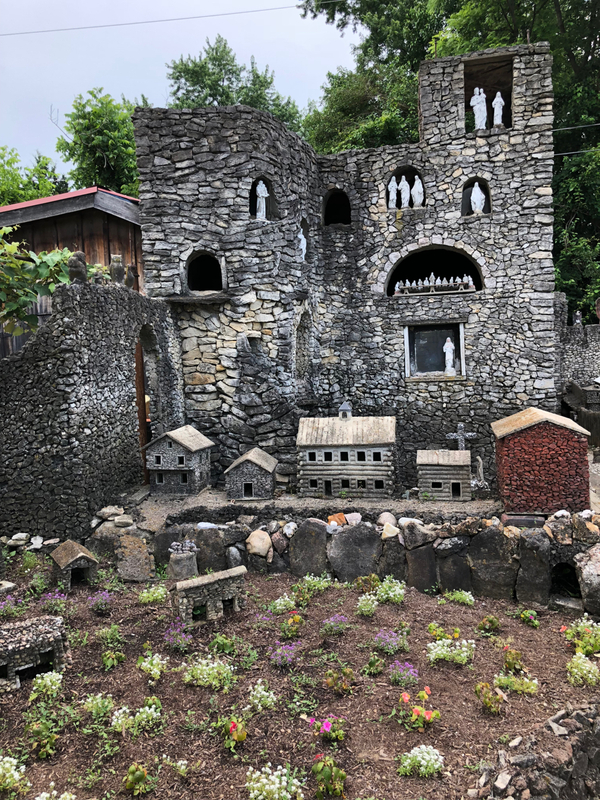 If you’re in Springfield, Hartman Rock Garden is a definite can’t miss! It’s smaller than I expected, but there’s still so much to see! There are carefully curated Biblical scenes, events in history, small villages and more! 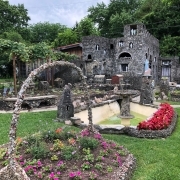 The garden began as a resident’s private work of art and it is set in the middle of a regular neighborhood. The garden is open from dawn to dusk, daily, and is free to enter. Donations are accepted at a donation box on the property. 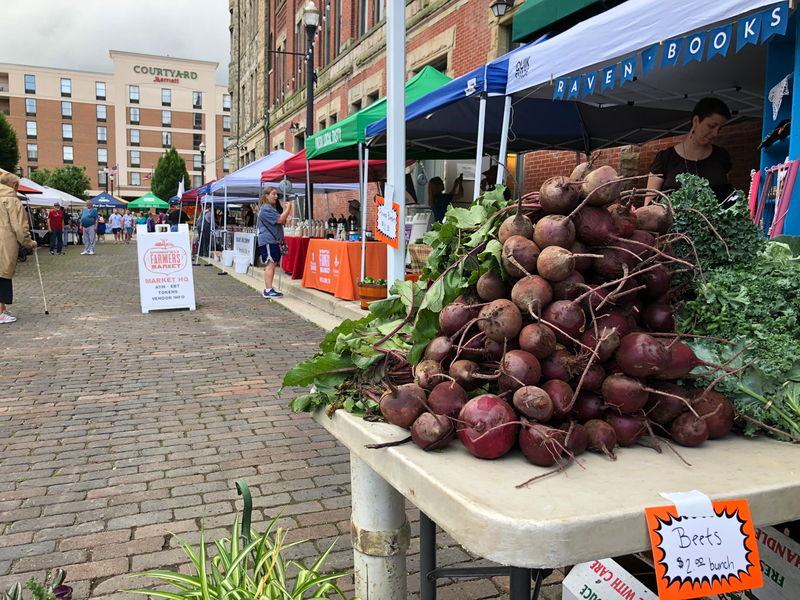 The Springfield Farmers Market takes place in the open space adjacent to the Heritage Center in downtown Springfield. There are 35 vendors offering fresh flowers, produce, baked goods, coffee, tea, eggs, meat and more! . When we were there we grabbed an ice tea from Just Organic Tea, an egg sandwich from Whitters Wings. and finished off breakfast with a pastry from Blue Oven Bakery! 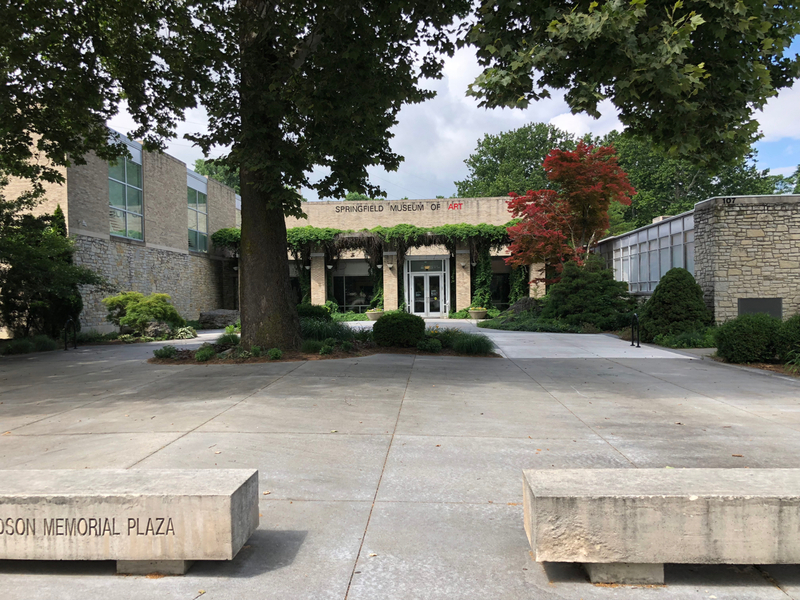 The Springfield Museum of Art is a fun, kid-friendly spot. The museum houses a few permanent artists and a few changing exhibits as well. 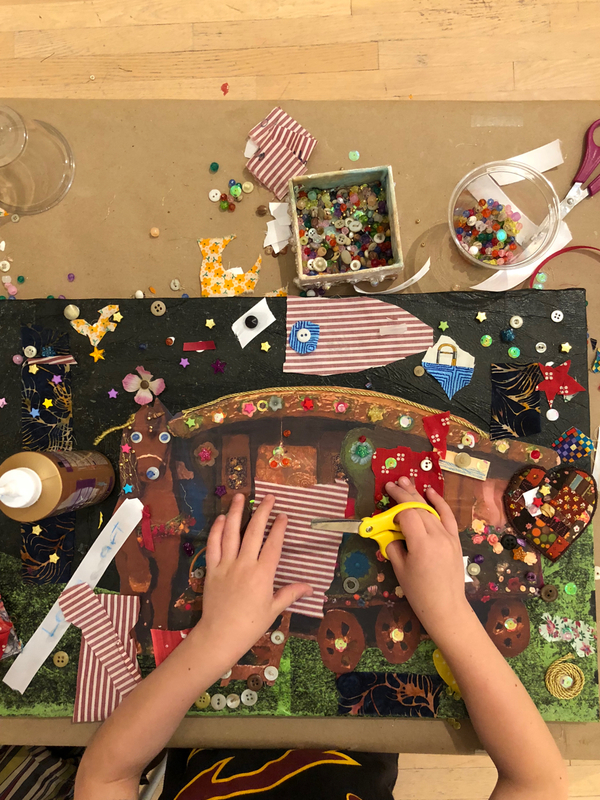 There is a kid’s art-lab that offers hands on, artistic activities for kids. 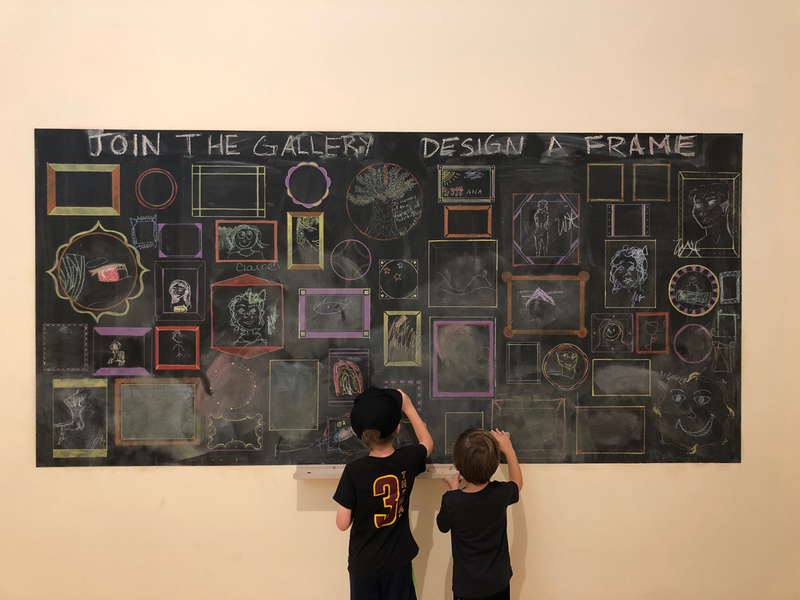 When we were there, kids could cut and paste buttons and ribbons on a community art piece, draw their own masterpieces, complete portraits of famous people and trace art work that was on display in the museum using an overhead projector. Admission is $5 for adults, children are free. 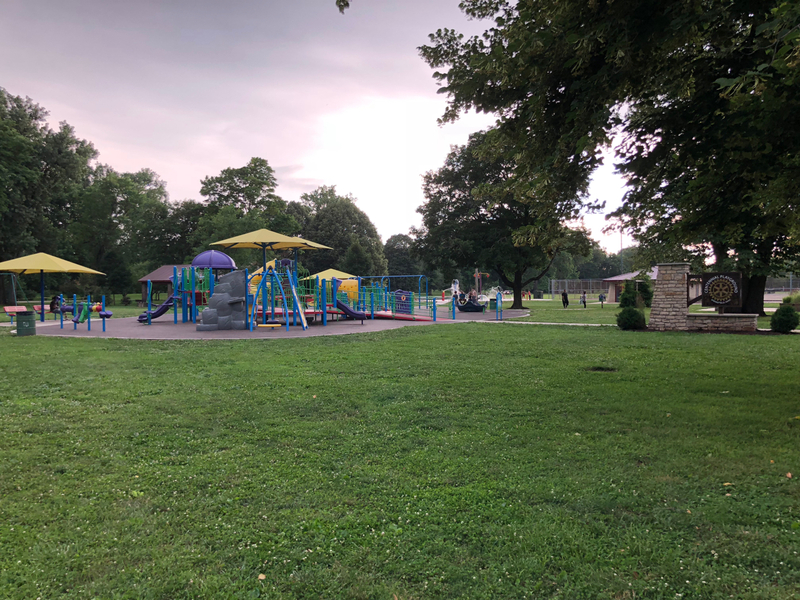 If you’re looking for a spot for the kids to get out some extra energy before bedtime or the car ride home, Snyder Park is a great playground and park area! 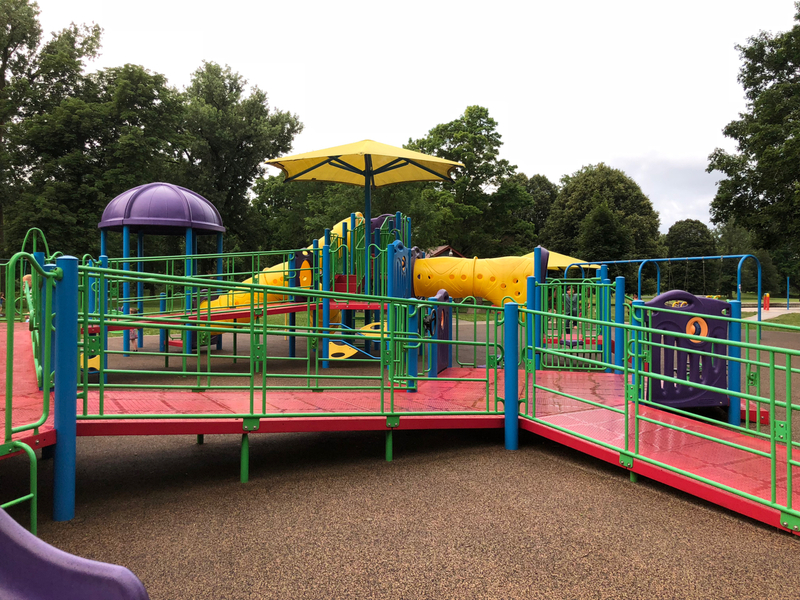 Within the park you will find the Springfield Rotary Centennial Playground and Bethie’s Sprayground. 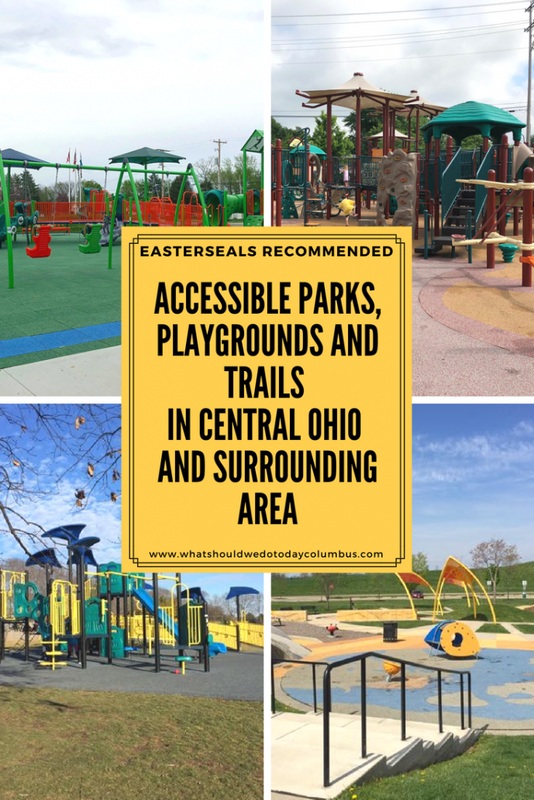 Both the playground and sprayground are ADA compliant and accessible to all children! 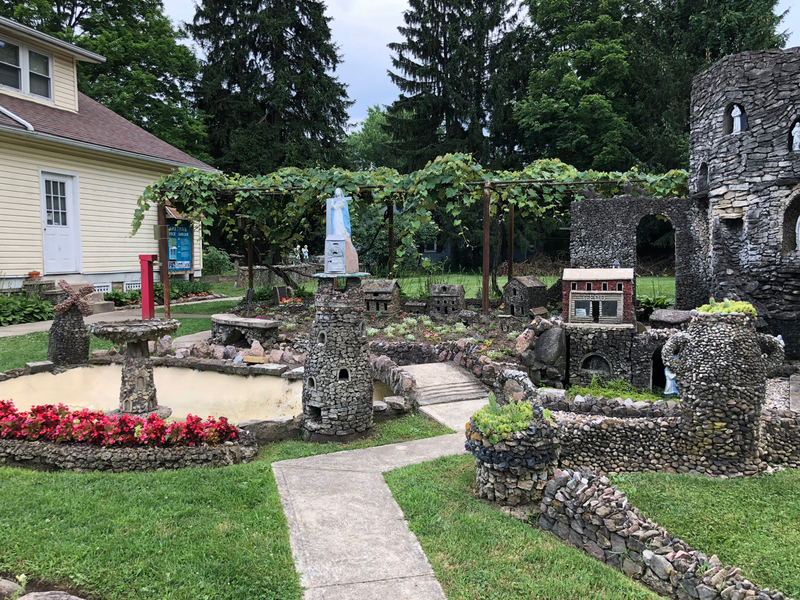 Ohio Caverns is about 40 minutes north of Springfield and 1 hour from Columbus. 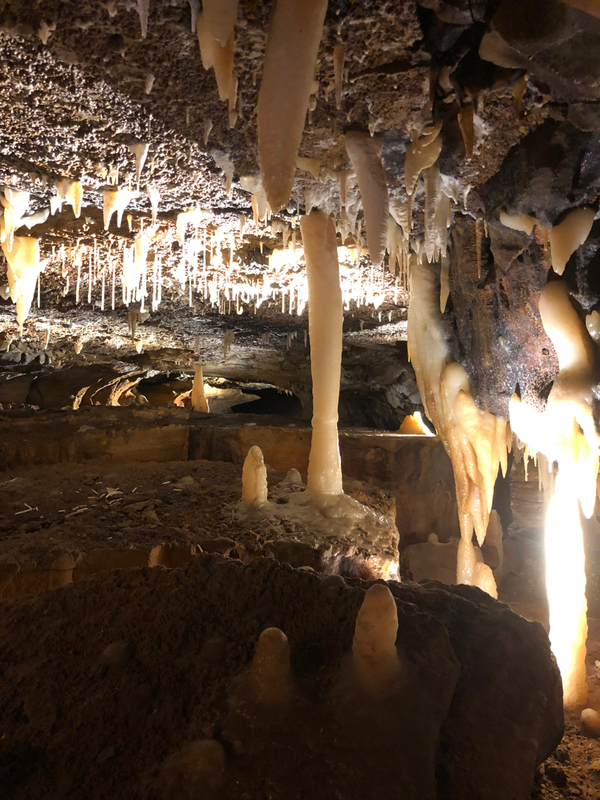 Ohio Caverns can be a day trip on it’s own! 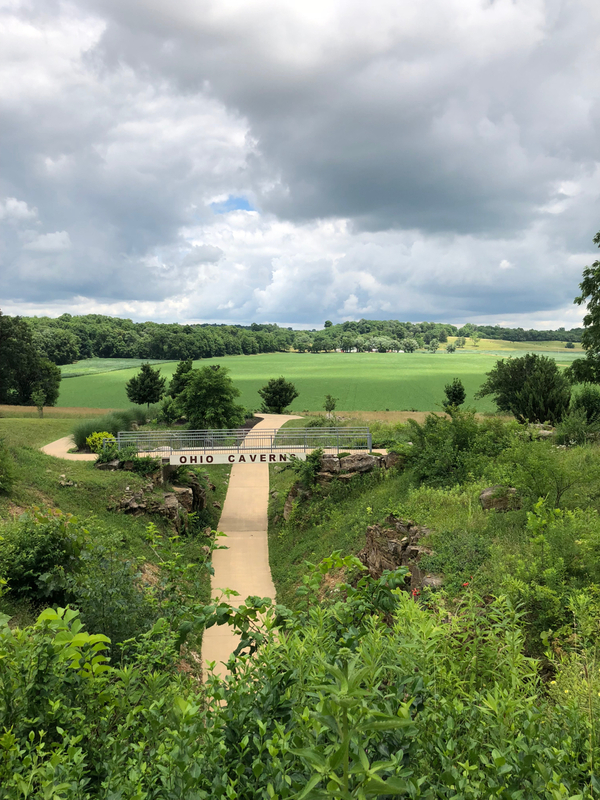 We headed to Ohio Caverns on Saturday afternoon after spending Friday night in Springfield and came home to Columbus from there. Ohio Caverns is the largest of all the caves in Ohio. There are several tour options available to see the caverns. My family took the Natural Wonder Tour which took about an hour. Afterwards we did gem mining! The caverns are so fascinating! It is just amazing to me what is hidden below our sight that we may never know about! 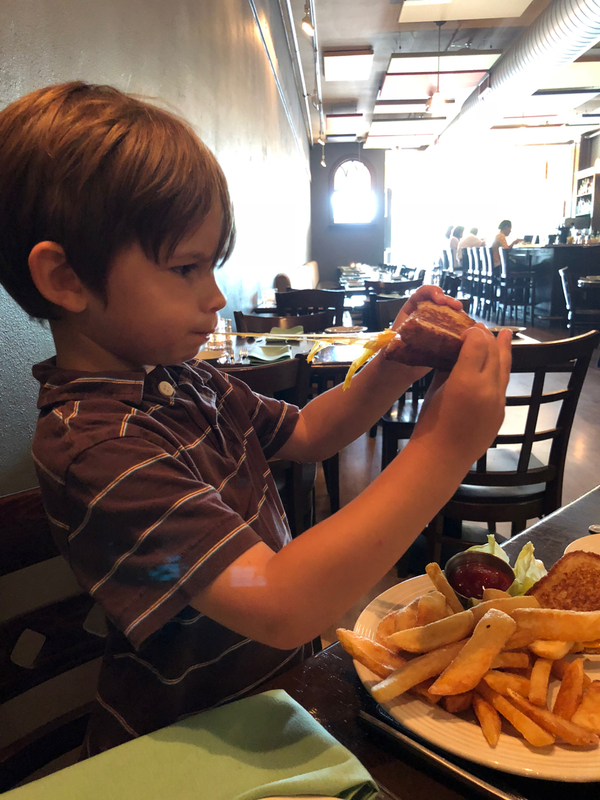 A mid to upscale dining option for families. There are kids meals available and dress is business casual. 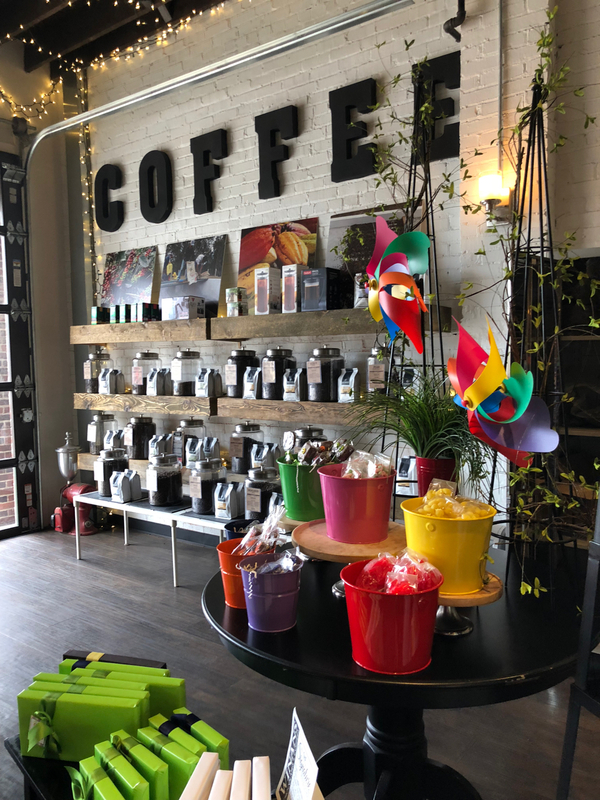 A great stop for coffee and chocolates. 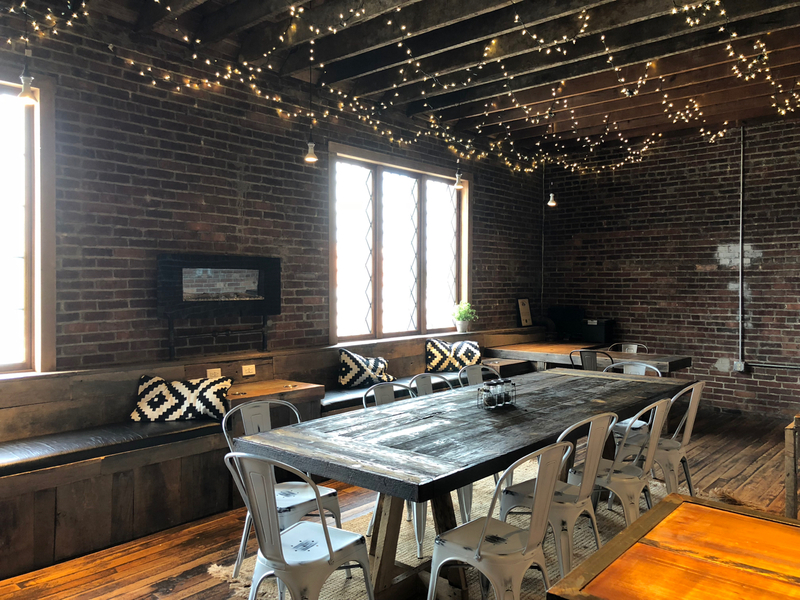 There are Winans locations around Columbus, of course, but this has to be one of the coolest! 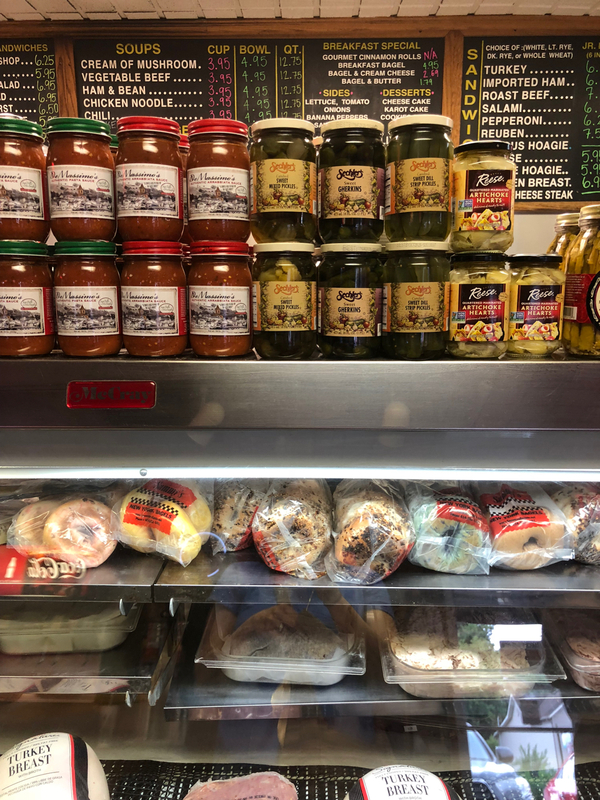 An authentic mom and pop deli and sports bar. 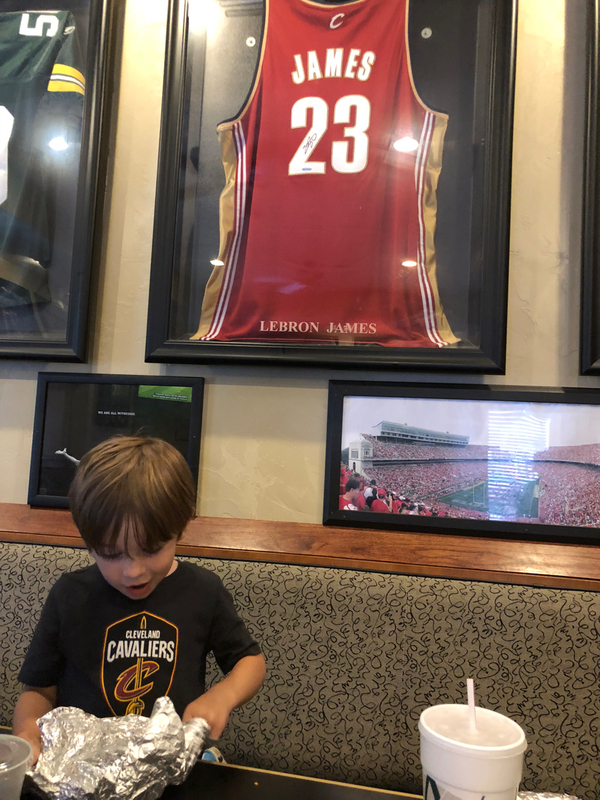 My kids loved all the sports memorabilia on the walls! 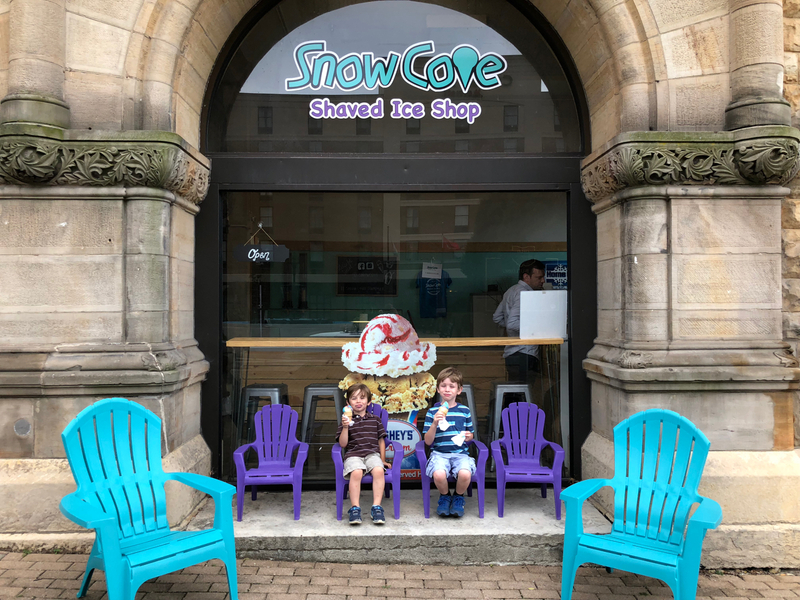 If you’re looking for a cold, sweet treat to cap off an evening or to cool off on a hot afternoon, try out the Snow Cove, which is in the same area as the weekly farmer’s market. 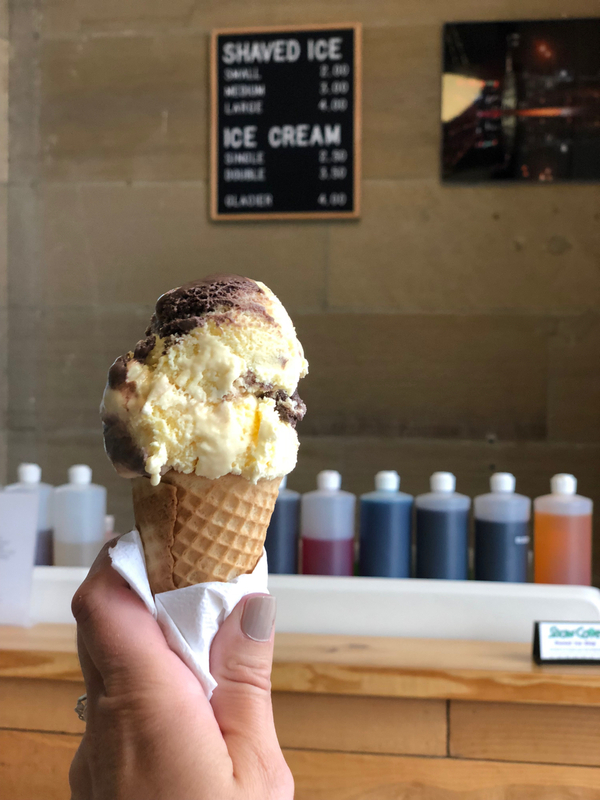 Offerings include hand dipped ice cream and shaved ice! 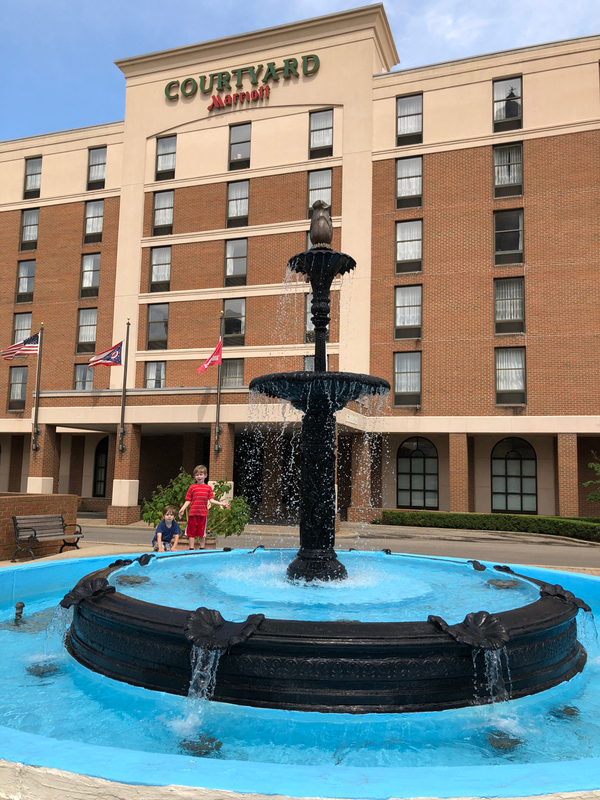 My family was hosted at the Courtyard Marriot in Springfield. It was a great location! 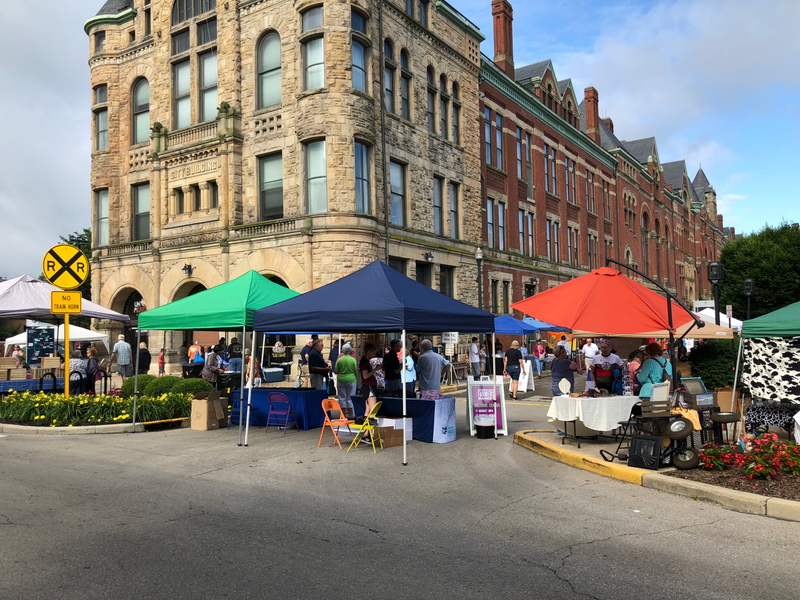 Many of the activities listed here are walkable from the hotel and it is directly across the street from the farmers market! There is an indoor pool and fitness center and a restaurant on site!